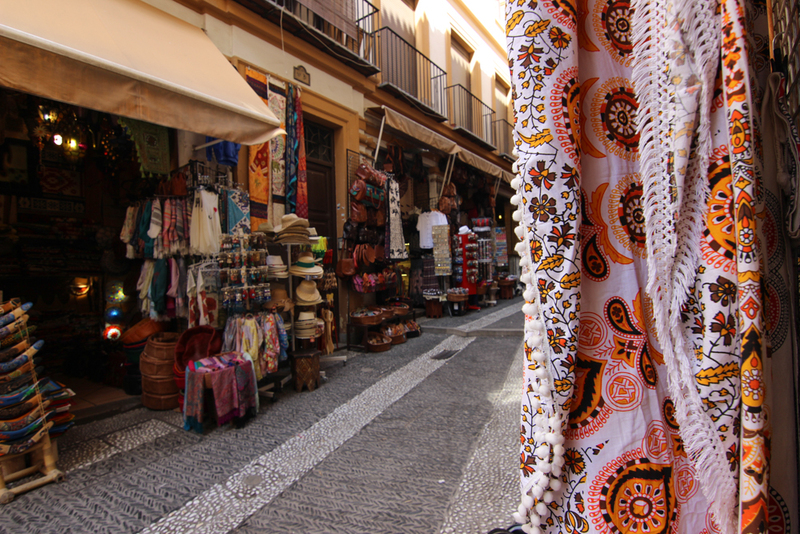 If Seville is the jewel of Southern Spain, then Granada is the black sheep of the family, decidedly more North African than European. Travelling a couple hours by bus, we were transported into a staggering and different world of dark, tiny alleys and fragrant, colourful storefronts. The Moorish influence extends beyond the main tourist mecca that travelers pilgrimage here for – the Alhambra (a massive blog post photo dump that I’m saving for another post, another day). 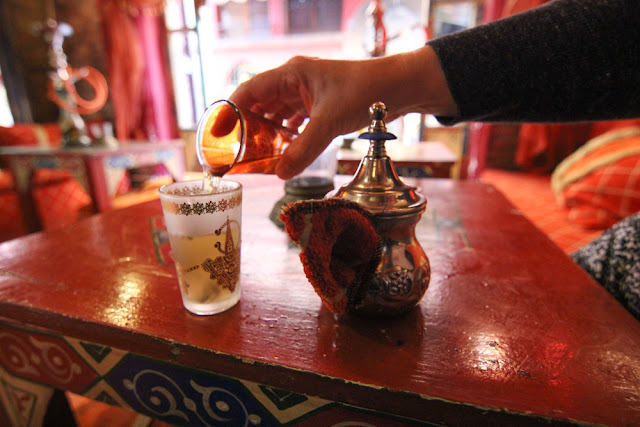 The food, souvenirs, and even the people, all bring a little taste of present-day Morocco to the city. 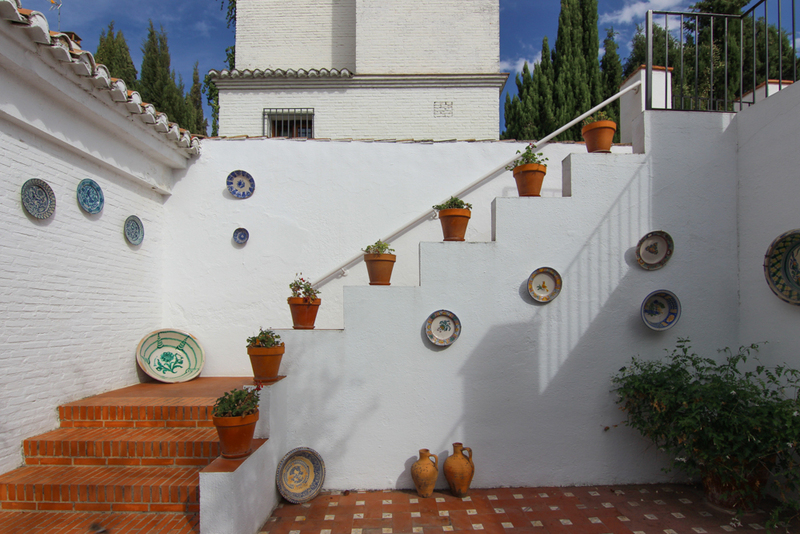 The Alhambra isn’t the only thing you can – or should – see while you’re in Granada. Mom and I packed in many other sights and activities during our time here, some of which were a let down (not-so-free tapas) and some which were a well-kept secret (a crowd-free Alhambra lookout point). 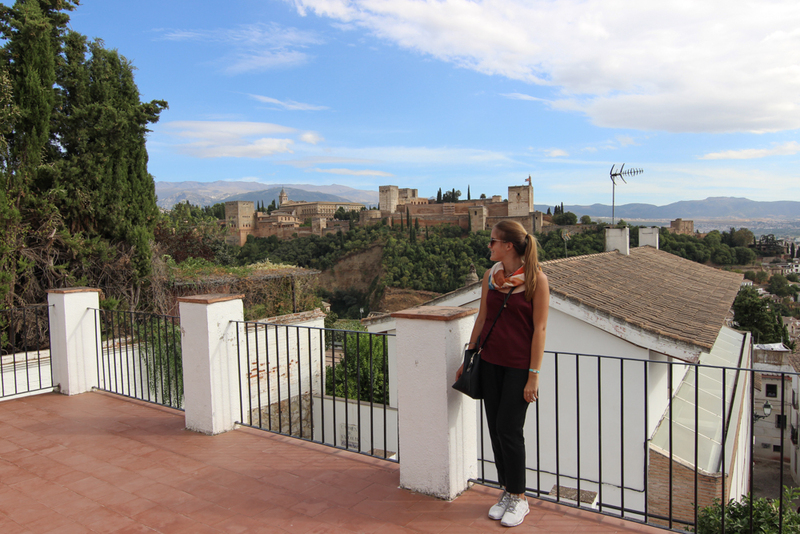 Upon arrival in Granada, Mom and I threw ourselves right into the crowds by walking to and through the Medieval Moorish area, El Albayzín. The roads are narrow, winding, and slant steadily uphill the further you go. 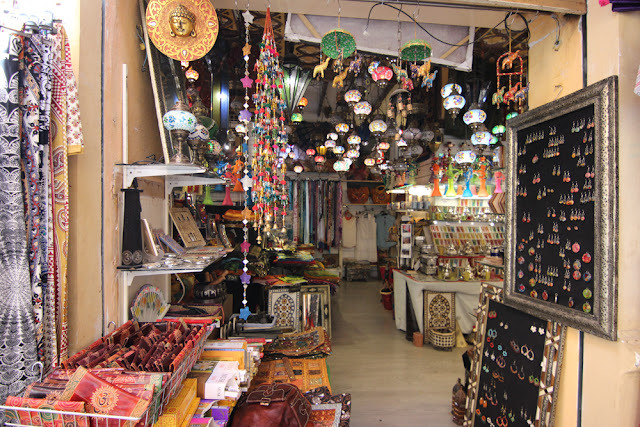 One street in particular – Calle Calderería Nueva – overflows with shops, teahouses, restaurants, and merchants begging you to come into their store. It’s an explosion of colour, of pattern, of friendly smiling faces, of tourists, and Mom and I loved it. This was one of those times when I wished I had a shipping container instead of a backpack. 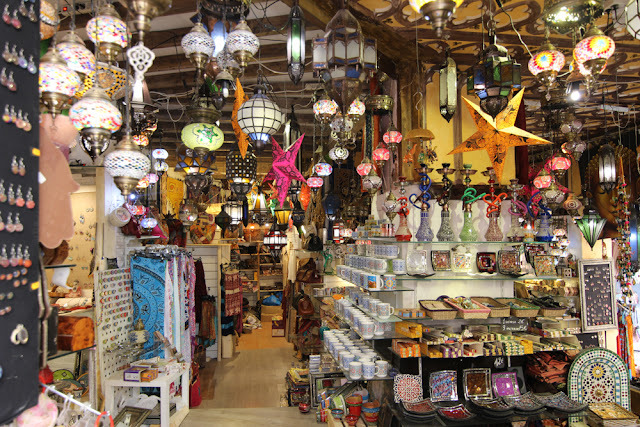 From the pretty star-like lanterns to the massive tablecloths and bedcovers, I would have bought it all. ALL. Because shopping made us tired, we popped into a dimly lit, elaborately decorated teteria, a traditional Moroccan teahouse. There are dozens of these on Calderería Nueva, and I picked the one we went to solely on interior design. There’s really no other way to differentiate them, since they all serve the same thing! The tea ended up being delicious, served in a silver pot with tall, skinny glasses to drink out of. 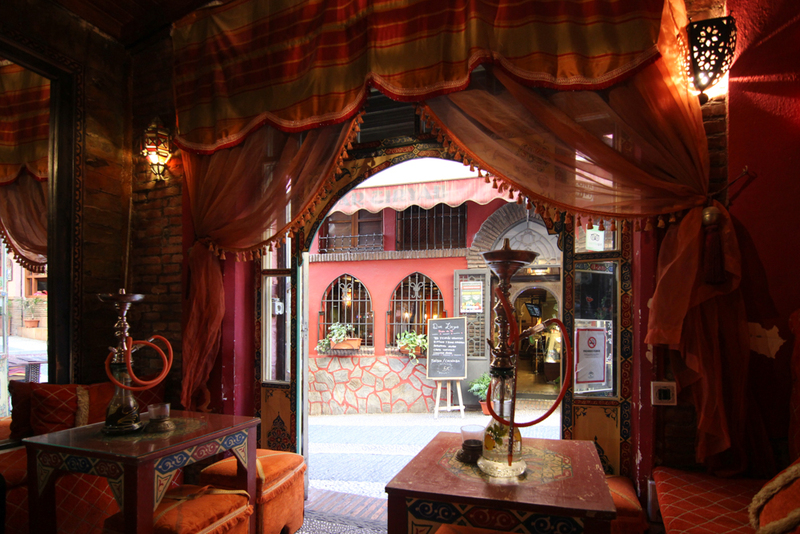 There’s also shisha available as well, if you’re into that kind of thing (I’m not). 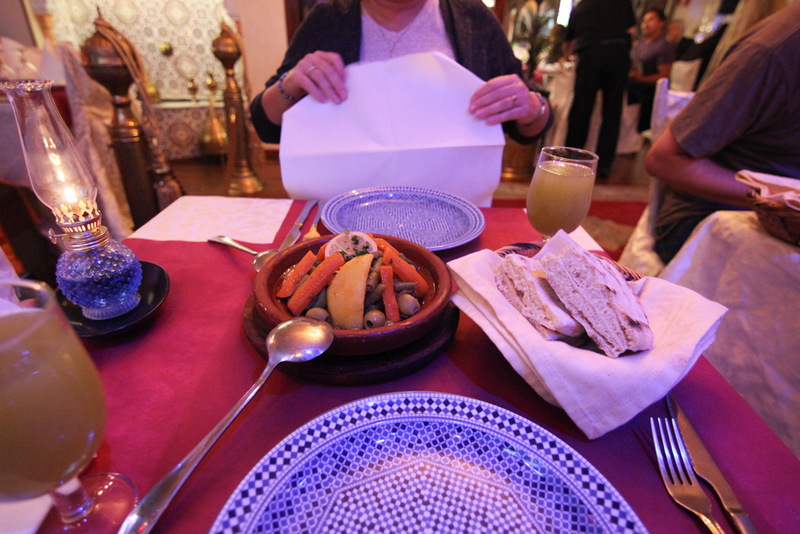 While in the Moorish area of the Albayzín, there’s really only one thing you should be eating – Moroccan food! 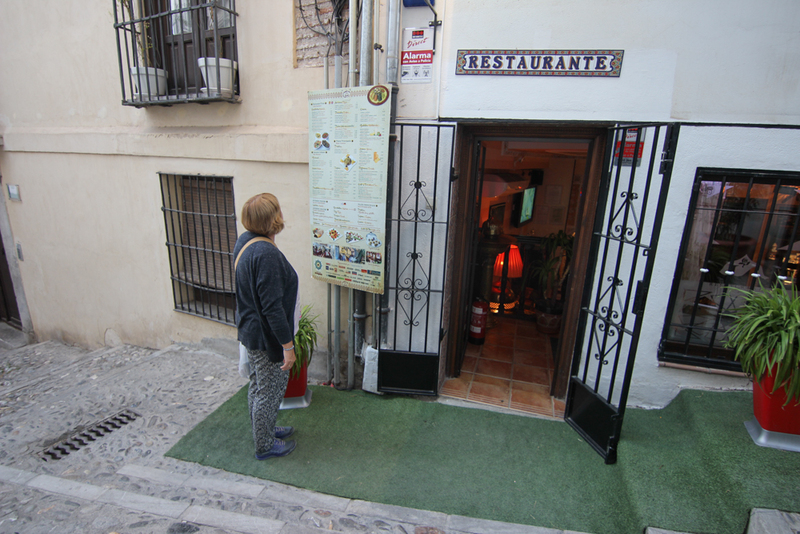 Since Granada is close to North Africa and has a rich Moorish history, there were many delicious options. Mom and I opted for what I read was the best in the city, a place called Restaurante Arrayanes. As per tradition, we ordered one thing and shared, because at this point on our trip, we knew just how huge portion sizes are in Spain (they’re massive). For starters, we ordered a delicious mint lemonade. We split a chicken tagine, the classic Moroccan dish, next. Although the flavour wasn’t as bold as I expected, our experience at the restaurant was exceptional because of the service. The owner introduced himself, seated us, and kept checking in on everyone to make sure they were having a good time. 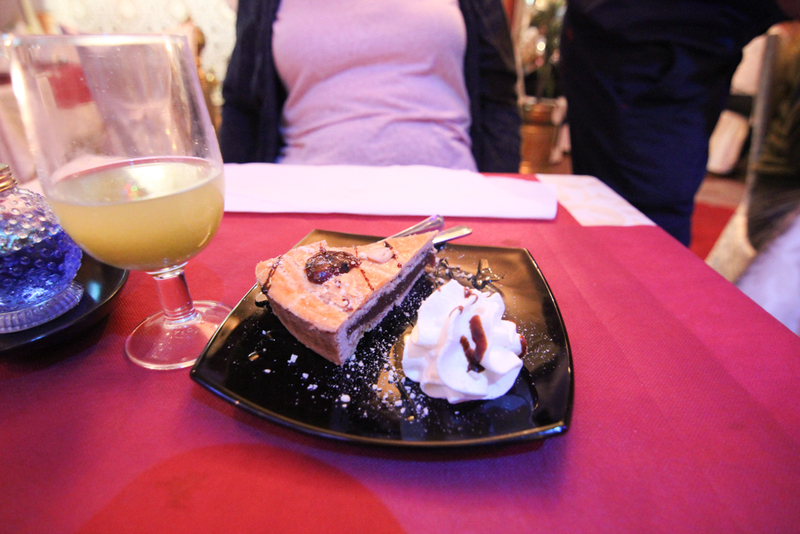 The best part of the meal was dessert, a not-too-sweet fig and date pie that again, Mom and I shared. Those uphill roads I was talking about? Well, they all lead to a wonderful lookout above the city. The most popular lookout point, which is packed with tourists, is Mirador San Nicolas. Go there, take some photos, and then make your way to a less-packed, but still gorgeous, view of the city. See below. 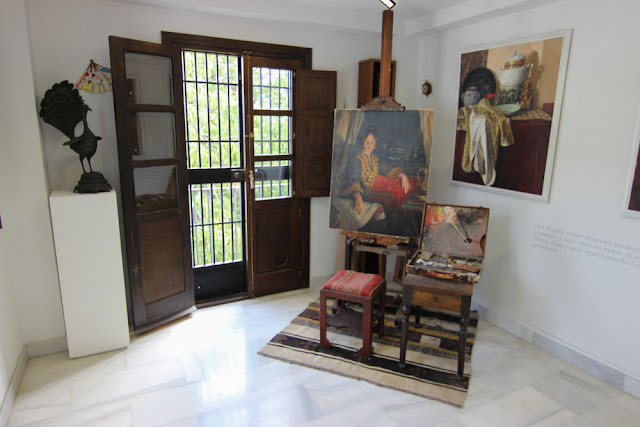 Totally free of entrance, the Carmen-Museo Max Moreau is the former house of Belgian painter Max Moreau, now turned into a museum. We walked around the small but beautiful grounds, enjoyed looking at his artwork, but even more wishing it was possible to move in here. There’s a terrace/patio on top of his house with a view of the Alhambra. With less people trying to find room to get that perfect Instagram shot, we had time to bask in its beauty and look down at the rest of the city. 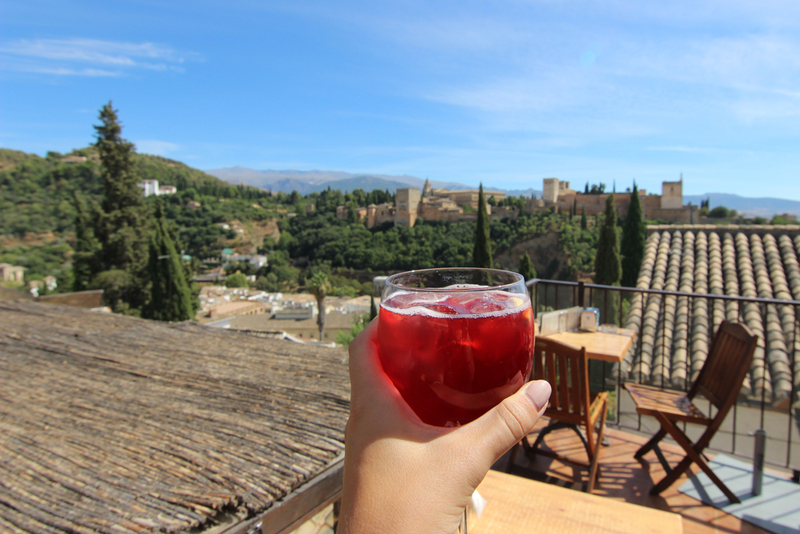 So… our Lonely Planet guidebook and numerous blogs and articles and sources all let us know that Granada is one of the only cities left in Spain that serves you free tapas when you order a drink, i.e. a beer. The catch we encountered though, was that the cost of the beer includes the price of the tapa. 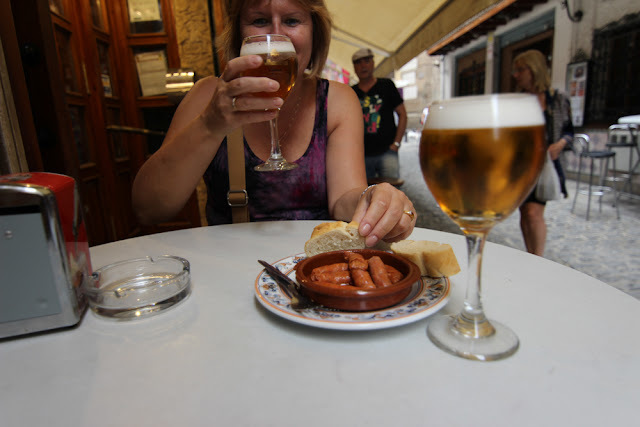 So in Granada, beer is 2 euros instead of 1, to account for the 1 euro tapa. It’s not really free. And you don’t get to choose what you’ll get with your beer. So Mom and I were majorly disappointed. Especially because we’re pretty sure these free sausages made us sick. To make up for our disappointment, we went to Calle Navas the next day, a street brimming with one tourist catered restaurant after another. Although we originally wanted to go to the Granada staple of Los Diamantes, it was packed elbow to knee to elbow, so we went to another generic one down the street. 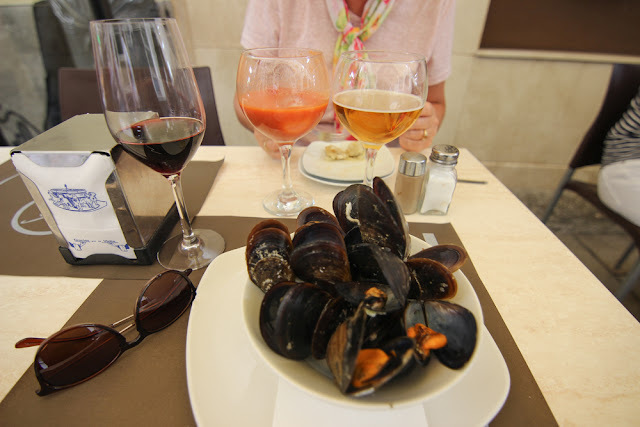 At Divisa Blanca Taberna, I ordered wine and mussels, the largest mussels I had ever eaten that were absolutely delicious. 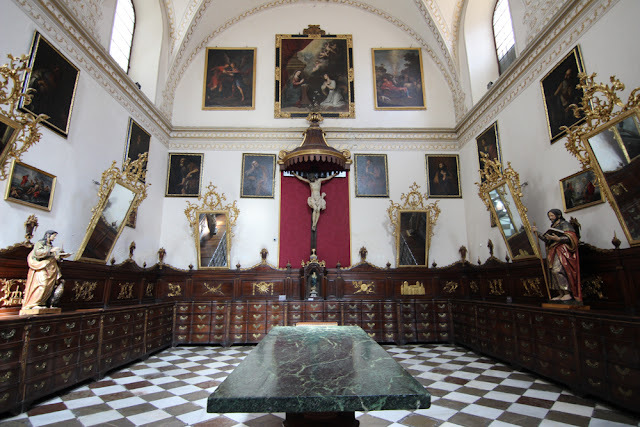 There’s a risk of getting “churched-out” in Europe. One cathedral starts blending into another and before you know it, you’re bored out of your mind with pulpits, organs, paintings, etc. 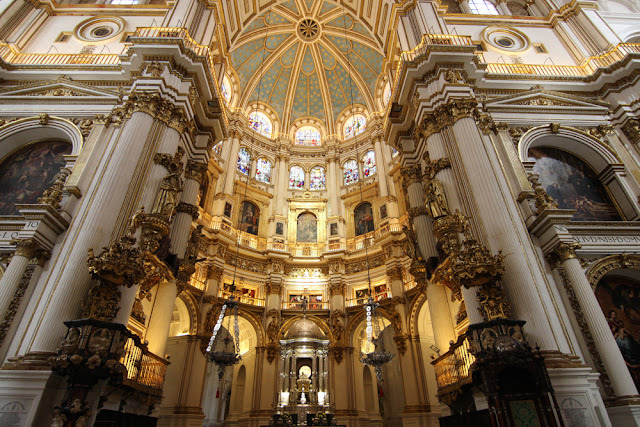 The Catedral de Granada was a pleasant surprise, however, because included in the price of admission is a free audio guide. The paintings start coming to life, and before you know it, Mom and I were enjoying, not dreading, a church visit. Around the corner from the Cathedral are the tombs of the famous Spanish Royalty – Queen Isabella of Castille and King Ferdinand of Aragorn. 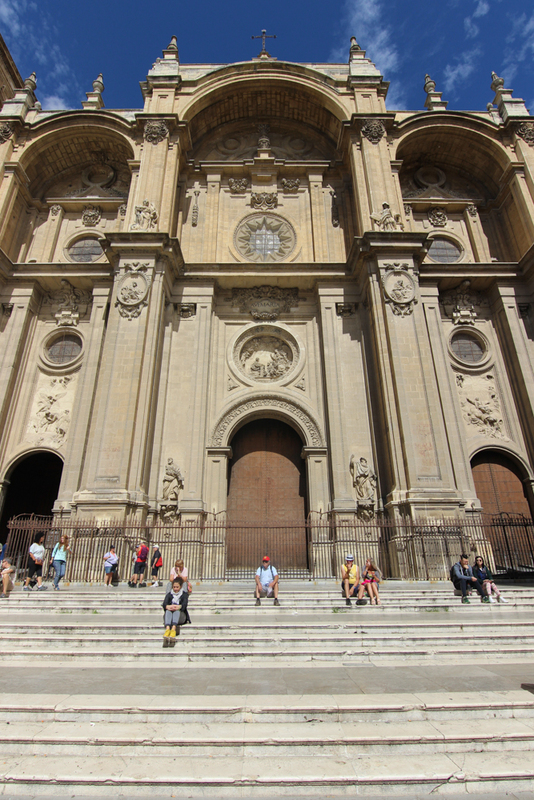 They’ve both been buried in the Royal Chapel of Granada since the early 1500s, which is an insanely long time. Unfortunately, no photo taking in the chapel or tombs is allowed, but take my word for it, being in the (dead) presence of these great figures of history was a cool experience. Ah, Granada. 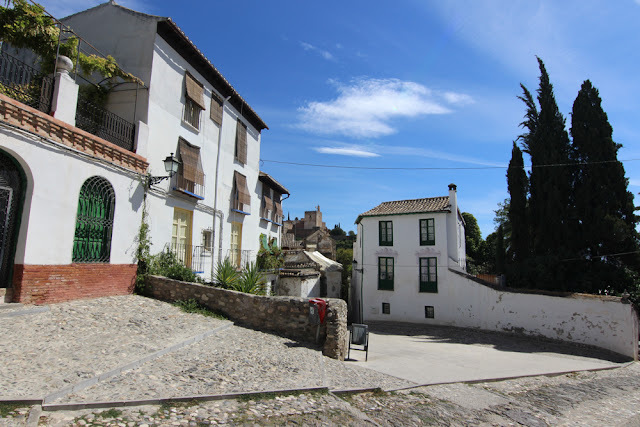 I wish we had a few more days there, to explore the underground caves in Sacromonte or make a visit to the traditional Arab bath houses, El Banuelo. One could stay here all week and just feast on Moroccan and North African food, or lounge on rooftop patios with a drink in hand, toasting to one of the most beautiful views in the world.